Having told you about the Swift and the Spin we come to last new model that was launched last November in Glasgow this is the Switch. While I would describe the Spin as a Notebook/Tablet this unit the Switch is a Tablet/Notebook. 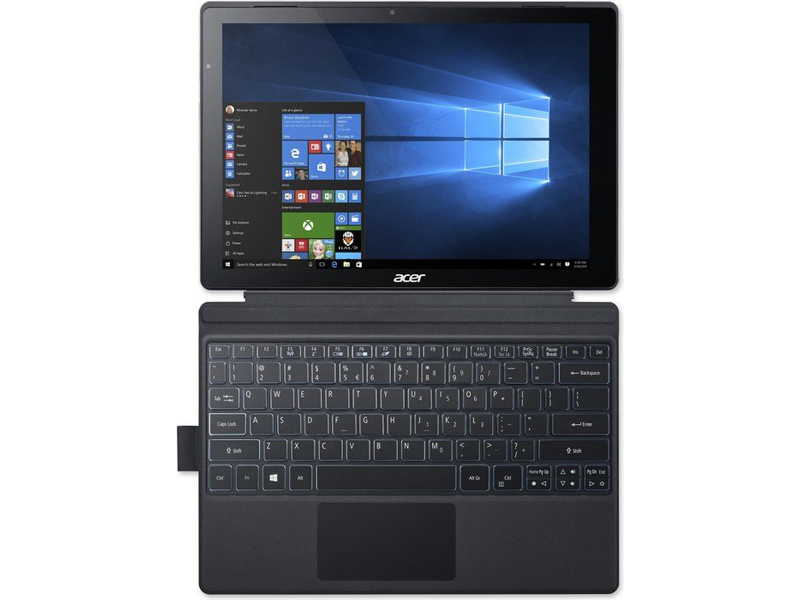 It’s easy to like Acer Switch Alpha 12 SA5-271-57QF if you’re after a lightweight, compact and fast detachable 2-in-1 laptop. I say fast because the i5 processor and 256GB SSD will make using this notebook feel snappy, and you can surely throw in more exotic programs than a Chrome browser or MS Office suite. The battery life is not magnificent, you can uninstall bloatware to combat with that. 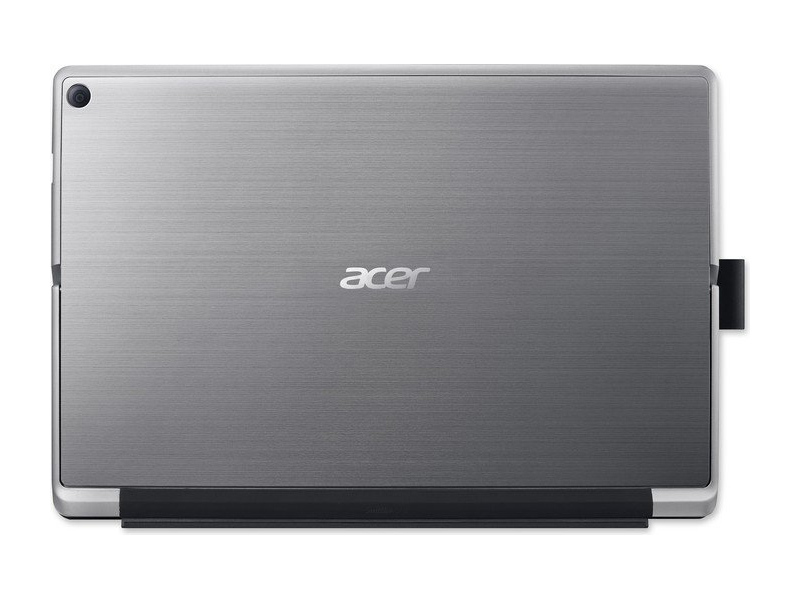 All in all, go for the Acer and get a small powerhouse! 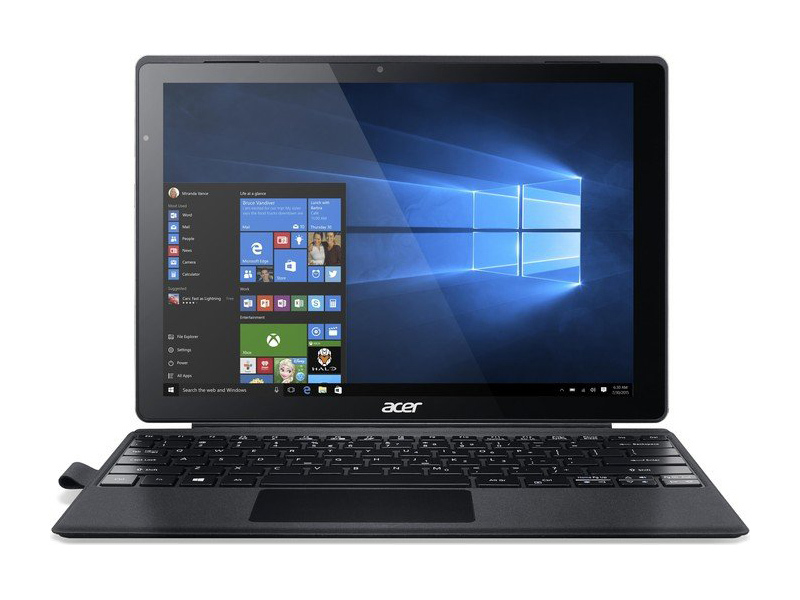 The Acer Switch Alpha 12 SA5-271-57QF is Acer’s attempt to rival the Microsoft Surface. It aims to offer the same tablet-first convertible experience but at a significantly more competitive price tag. 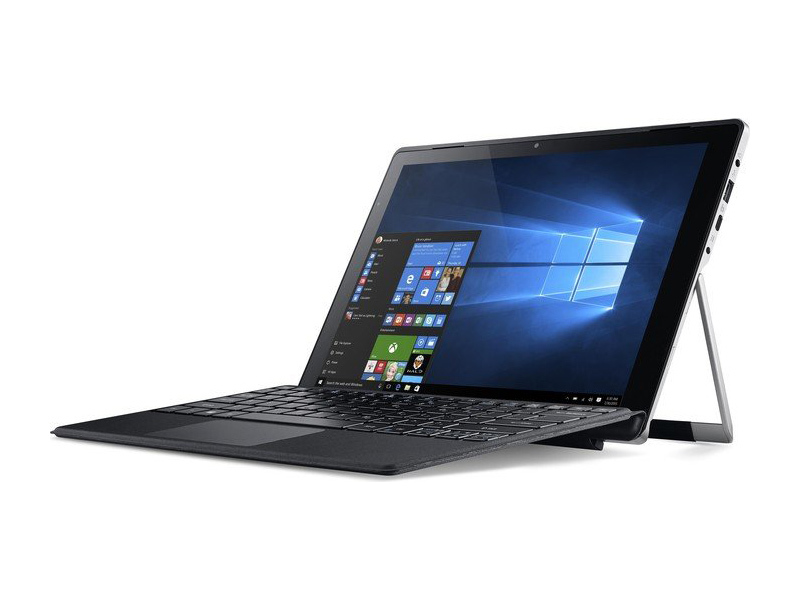 The Switch Alpha 12 generally delivers solid performance and will meet most Windows fans' tablet and laptop needs. There are no vents or fans on the Switch Alpha 12, because it's the first water-cooled 2-in-1 on the market. Competitors who use Intel's low-power Core M CPUs, including the HP Spectre x2, also avoid fans, but do not need water cooling, because their less powerful processors don't generate as much heat. The 2.3-GHz Intel Core i5-6200U CPU, 8GB of RAM and 256GB SSD of the Switch Alpha 12 make it a fine productivity machine. The Switch's integrated HD 520 graphics card cannot handle demanding games like Overwatch or The Witcher, but casual games and watching videos will be just fine. 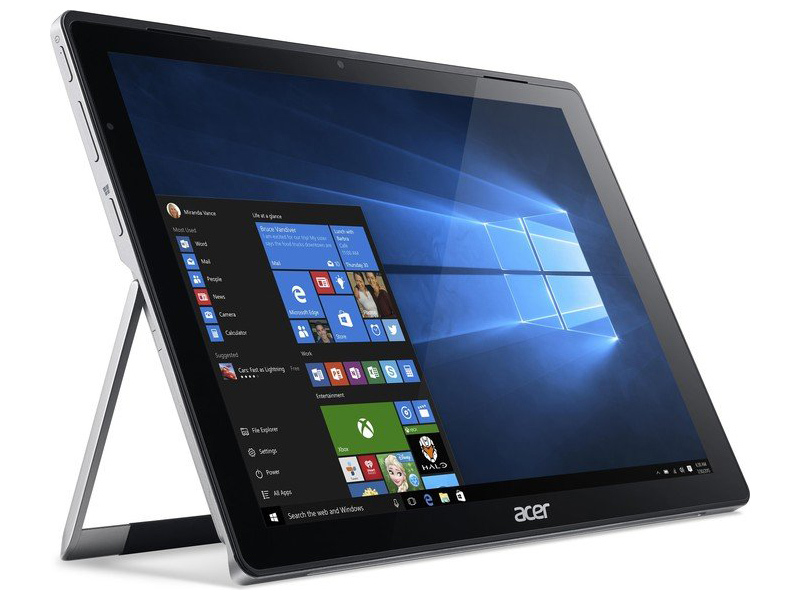 The front of the device boasts a 12-inch, 2160 x 1440 display surrounded by a thick bezel. The touch screen on the Switch Alpha 12 is bright and produces vivid, beautiful colours, but it's slightly on the warm side. The panel reproduces an excellent 101 percent of the sRGB colour gamut, which is higher than the category average of ultraportable notebooks (90 percent). The bottom of the tablet features magnets that connect to the keyboard cover, which can be laid flat or propped up at an angle. When paired with the keyboard cover, the Alpha 12 measures 11.5 x 7.9 x 0.6 inches and weighs 2.8 pounds. Without it, the dimensions shrink to 2 pounds and 0.4 inches in thickness. 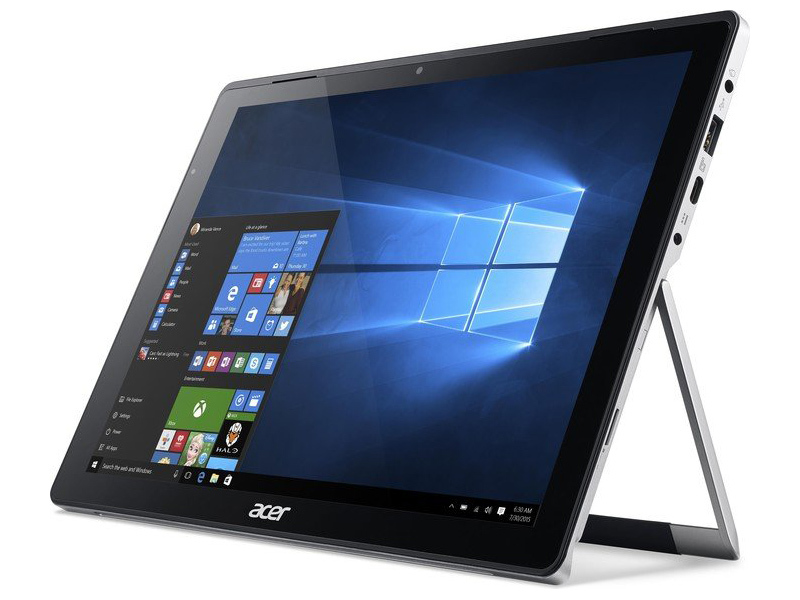 For the Switch Alpha 12, Acer opted for a Surface-inspired 2-in-1 design that combines a tablet, a kickstand and a keyboard. 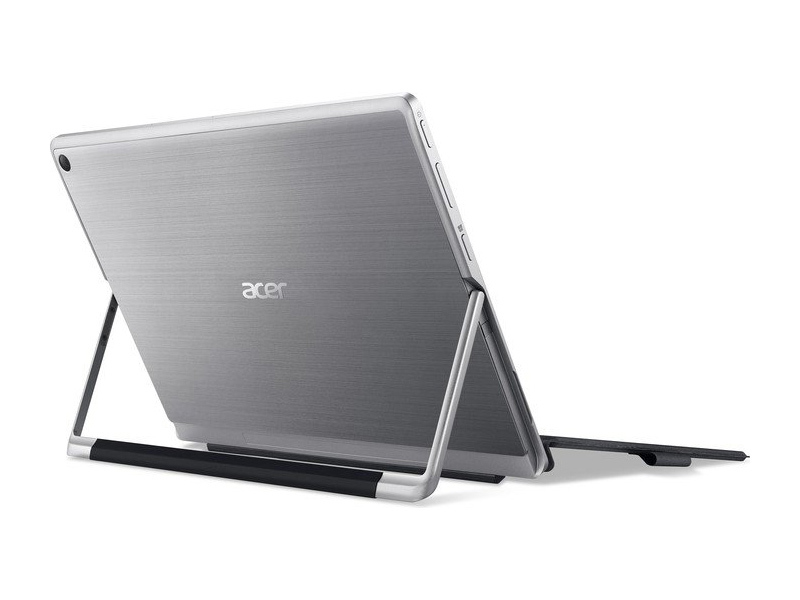 The kickstand pulls away from the aluminum rear of the device, which features a brushed look and Acer's logo, as well as a 5-megapixel camera. 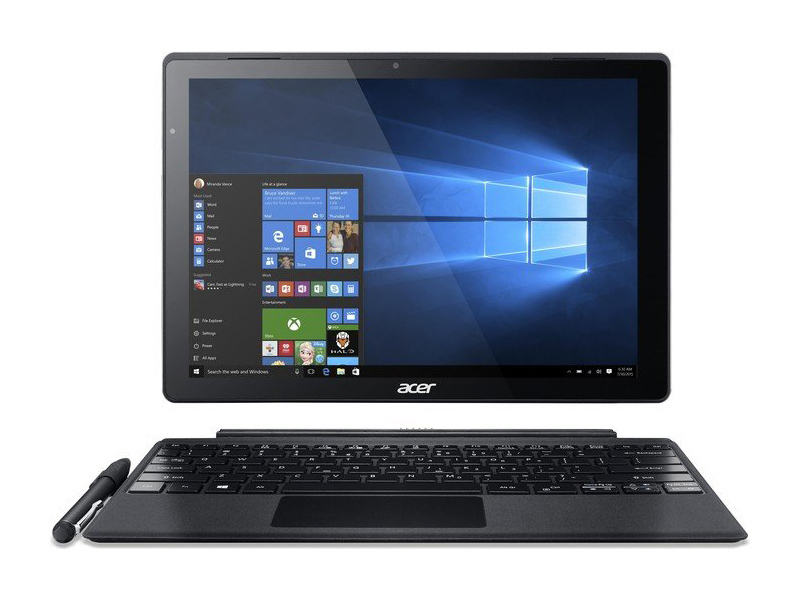 The Switch Alpha 12 has a fair share of some useful Acer utilities, which are mostly focused on the cloud. Acer Portal lets users organize files that are created in abFiles and abPhoto. Recovery Management assists in making backups and restoring data, while Quick Access lets user access features such as Bluelight shield and adaptive brightness. The Switch Alpha 12 has the most useful combination of ports of any 12-inch convertible. Its right side is home to a headphone/microphone combo jack, a USB-3.0 port, a USB Type-C port, a power jack and a microSD card slot. The addition of a USB 3.1 port that can be used to power devices, transfer files or attach the device to an external monitor is another nice bonus. The accompanying full-size USB-3.0 port makes the Switch Alpha 12 significantly better connected than many competing convertibles.